Supervisor Kenneth Schmitt is reviewing purchasing policies in wake of the State audit. NYS Comptroller Thomas DiNapoli said the Town of Carmel needs to tighten its record-keeping to avoid losses and waste. The news came last Friday in the form of a … Please login below or purchase a subscription to the Putnam County Courier to access this content. Property foreclosures have begun to level off in Putnam County yet officials remain concerned since for the first ten months of the year, 125 residents have lost their homes. County Clerk Michael Bartolotti released his monthly report last week indi… Please login below or purchase a subscription to the Putnam County Courier to access this content. Following a disastrous September when county sales tax revenue plummeted by some $650,000, news for October’s revenue was somewhat better. 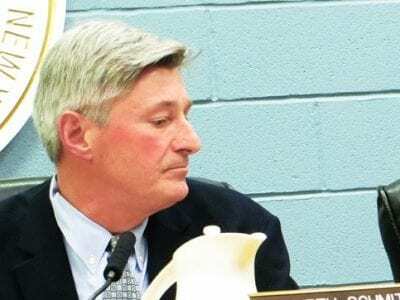 Putnam Commissioner of Finance William Carlin reported to members of the Legislature’s Audit Commi… Please login below or purchase a subscription to the Putnam County Courier to access this content. The report of the secretary of war shows that the army has been well and economically supplied, that our small force has been actively employed and has faithfully performed all the service required of it. 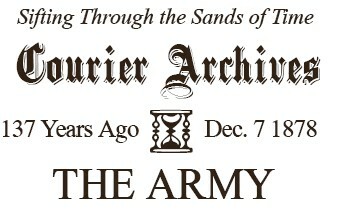 The morale of the army has improved, a… Please login below or purchase a subscription to the Putnam County Courier to access this content. Xeric ZEER-ik ADJECTIVE characterized by, relating to, or requiring only a small amount of moisture … Please login below or purchase a subscription to the Putnam County Courier to access this content. Kent Highway Superintendent Richard Othmer leads last week’s ceremony on Nichols Street. 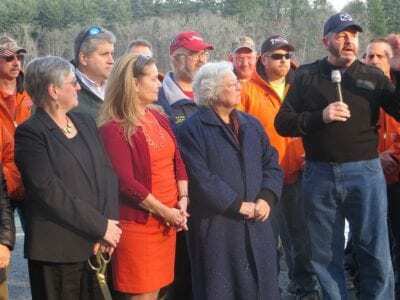 Motorists using Nichols Street in Kent have a new road to travel following the completion of a major renovation of the once dangerous narrow artery. Thanks… Please login below or purchase a subscription to the Putnam County Courier to access this content. Students with disabilities at Carmel High School are constantly provided opportunities to become career and job ready. In recent years, a studentrun coffee shop, School-to- Work program and the addition of practical business courses have prepared te… Please login below or purchase a subscription to the Putnam County Courier to access this content. Residents in the Putnam Valley School District will be going to the polls next Tuesday to vote in a special referendum calling for a Buildings and Facilities Improvement Reserve Fund. The move aims to smooth out the impact of future building costs b… Please login below or purchase a subscription to the Putnam County Courier to access this content.